Being based in Queensland, the vast majority of our contracts have the luxury of including a building and pest inspection, typically being a 7-10 day clause. Even though other states may not have this luxury it is still something you should consider carrying out at some stage. For a small one of fee, it could at the very least give you piece of mind and at the very most save you hundreds of thousands of dollars. So, what actually happens at a building and pest inspection? Typically, on an average home it could take between 60-90 minutes for two inspectors to carry out a full inspection. I say two inspectors because you should have a specialist building inspector and a specialist pest inspector focussing on each area, a single inspector, pressed for time, may miss something important. The inspectors should work closely together and sweep through the property with a fine-tooth comb. Most cosmetic issues can be picked up at a single inspection, but it is the structural integrity of the property that you want to make sure is all above board. Likewise, it could also appear as a minor cosmetic issue, but upon further inspection, it may be something more sinister. They may also investigate other areas you may not have considered like retaining walls, trees, outside sheds etc. The building inspection should be used to assess the structural integrity of the property and to ensure there are no major damages or works to be done. Quite often you will find that major repairs and upgrades do not really add value to a property. For example, replacing a stump or rusty gutter does not increase the value of a property. If the damages are too severe it may be best to move on, however minor damages can then be taken into consideration as part of the final price. You can generally exit a contract under this clause for any structural issues. 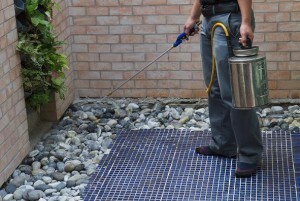 If you are based in Queensland, I would strongly recommend a pest inspection. 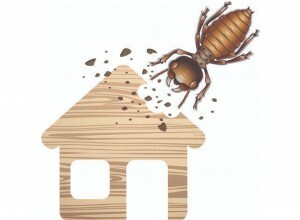 As in industry professional, we could carry out up to 100 inspections every year for our clients and I would say at least 80% of these would find termite activity in one way or another. They are either hiding in gardens, trees or retaining walls or in parts of the home itself or in many cases have left evidence of their presence previously. 95% of the time, it is really superficial things and nothing that can’t be corrected very easily or just something to be made aware of. Other times we may find structural issues or nests that may be more serious. Finally, you should also have two separate reports mailed to you with full inspection details. I will warn you now though — BEWARE the disclaimers. As standards and laws are continually changing, inspectors are very reluctant to put in writing their own personal opinions. Rather than relying on these reports, I would strongly recommend being present at the inspection or at the very least, having someone who you know or trust attend on your behalf. Often asking questions and feedback at the inspection with give you a much clearer picture of a potential issue, minus the disclaimers. Second to that, you may also wish to phone and speak to the inspector direct to understand any potential issues. An initial read of these reports can be demoralising and a little confusing at the best of times. Always have a separate building inspector and pest inspector. Strongly advise a pest inspection if based in Queensland. Allow 60 – 90 minutes for the average property inspection. Negotiate any major repairs into the price, as repairing these do not add value to the property. Termite activity is very common – only panic if there are major structural problems not superficial activity or presence in garden beds etc. My last tip would be to attend the inspection, or at the very least have someone you know and trust attend on your behalf.